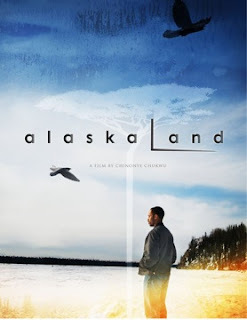 ...of Chukwuma, an Alaskan-raised Nigerian struggling to balance the expectations of his traditional Nigerian parents and the larger world around him. After a tragic car crash, Chukwuma is separated from his younger sister, Chidinma, who moves to Nigeria with their uncle until she becomes of legal age. Born in Rivers State, Nigeria, filmmaker Chinonye Chukwu was raised in Fairbanks, Alaska to parents who settled in Alaska as engineers. She grew up navigating between her Nigerian traditions and her American Arctic environment. While not autobiographical, Alaskaland reflects the environment and conditions that inform the development of her layered identities. As published in The Daily Sun on Friday, 29 June 2012 (with some additions). African student filmmakers have a new continental platform to share their works and ideas. 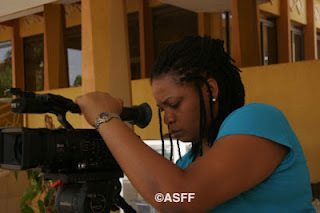 The first African Student Film Festival (ASFF) will hold this year in 2012 organised by Nigerian filmmaker, Adaobi Obiegbosi. The vibrant director is passionate about her work and most especially about creating awareness short films within and outside the continent. She talks about her journey into film and why she is co-ordinating a student film festival. Over the years, Obiegbosi has produced a number of short films but her first, The Choice remains her favourite. Her second film is based on a folktale. Asides the theme of self-discovery featured in her first film, folktales, she said are also of interest to her. Telling such stories in animated films is another possibility Ada considers. “Yes, I love animation, cartoons. I took a course in it and I’d love to do it.” Her most recent film l’Idiot directed at the Imagine Film School in Burkina Faso, is one of the films for which she is the most known. Like the poet and the prose writer, there are different challenges for the maker of short films and the feature filmmaker.“People don’t actually know that short films are more difficult to make. With short films, you have to make sense in the shortest possible time. In this part of Africa, we are not really into short films.” Hence her inclination towards a publicity drive for this genre of film and a distribution network that will improve the financial status of filmmakers, funding being a constant challenge faced within the industry. Like her mentor Gaston Kabore, Ada Obiegbosi is intent on encouraging Africa’s budding filmmakers and putting their works on the global map. This is one reason why she set up ASFF. “From school we always wanted to have a kind of Awards Night, so that the students would be encouraged to make more films despite the whole logistic and equipment problems.” Categories such as best film and most outstanding student were conceived to convince the students that the money spent on making their films was not a waste. “Where you can make your mistakes and you’ll be forgiven is when you’re still in school,” she said. Seeing that the students might likely outshine their masters, the school authorities however did not approve of such a plan. Obiegbosi remains adamant in her belief that such opportunities including travel and student awards are hugely beneficial to a student filmmaker’s career as they were for hers. “When I left school I was still saying we need to do things like that to give students the opportunities, to give them the platform they need to know themselves, to travel out. The film students abroad know themselves because they have film festivals and they work with themselves and really have this co-production stuff. It’s sad that we don’t have that in Africa. I thought maybe someone would do something about it.” She held on to her idea for the festival for almost three years, hoping that someone else would implement such before she did. That never happened and she finally decided to embark on the project herself. Initially, there was little encouragement from home, but last year in 2011 at FESPACO in Burkina Faso, Obiegbosi shared her ‘big dream’ with Kabore, who liked the idea and encouraged her to set to work on the project. Since then the African Student Film Festival has received logistic support and encouragement from the Goethe Institut in Lagos headed by Marc-André Schmachtel and documentary filmmaker Femi Odugbemi. “Positive response has been mostly from outside Africa and they don’t even know about the emerging talents,” the ASFF director exclaimed. So far, the entire planning process has lasted over a year. With the festival itself scheduled to hold between the 3rd and 7th of September 2012, the deadline for submission of entries was June 30. Entry is open to Africans on the continent and in the Diaspora. Ghana, Kenya, Nigeria, and South Africa have so far sent in submissions. Intending participants can send in short films, documentaries, commercials and music videos. The festival, which is themed ‘Tell Your Story’ offers discussions, workshops and screenings. 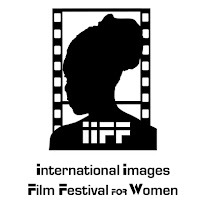 The workshops covering documentary directing, cinematography, and scripting will be conducted by indigenous and international professionals while the discussion classes will focus on resources for female filmmakers towards overcoming their challenges in the industry and improving their work-relationship with their male colleagues. Award categories have been segmented into the competitive, non-competitive and avant-garde productions. For the non-competitive award, the ASFF organisers have selected an African personality, who has had an impressive influence on the continent’s emerging filmmakers. The name will be announced at the festival’s Awards ceremony. For the regular competitive sections such as best film, best director, best cinematographer, best soundtrack, best editor, best costume and so on, the festival Jury has been selected cross-continentally from Kenya, Nigeria, Cameroun and Ethiopia. There is also an Audience Choice Category, and to allow unrestricted participation from viewers, the ASFF is collaborating with a Berlin-based online TV channel to upload all films screening at the festival. Viewers can then vote for their favourite film in this category. The festival will also feature a film distribution market and an equipments market for producers of film equipment to market their products. At the moment, only the Zuma Film Festival and the Eko International Film Festival have a category for student films. All that seems set to change though once the African Student Film Festival takes off. Ada Obiegbosi – whose personal funds have seen the project thus far – is hopeful that the festival will receive much-needed financial support from government, cultural bodies and corporate organisations and become an annual go-to event for the continent’s student filmmakers. Mayye Zayed of Egypt, studied at various filmmaking workshops in Alexandria, where she directed The Lady Bug, Girls’ Talk, among other works. With Mohamad El Hadidi, she produced Blackout, a short documentary covering the protest rally against the murder of young Egyptian Khaled Saeed who was beaten by the police. Totally wired, Mayye Zayed takes full advantage of social media and the Internet, which she views as indispensable to exchanging with people around the world. Mayye, you were born and raised in Egypt, where cinema is very present, what were your experiences with cinema while growing up? Girls’ Talk, a charming little film of less than 5 minutes, has been very well received and in fact, has put you in the limelight, having been written about widely and screened at several festivals. How did you come to filmmaking and what inspired you to make this film? Filmmaking was something I thought about when I was in high school but since I loved mathematics and physics I decided to study engineering instead of going to film school. At that time I thought that by studying engineering I could develop my knowledge in math and physics and that filmmaking could always be a hobby. Now I realise that I was simply not brave enough so I chose the most secure path. While in school I had no time to do much of anything else but studying. Therefore, after graduation I was really depressed and I decided to give filmmaking a try, and I have never returned to engineering. Girls' Talk was an exercise in a filmmaking workshop I attended in Alexandria, it was the final exercise to be more precise. In fact, I got the idea when I was involved in another workshop in the American University in Cairo. One time when I was in the bathroom I noticed the many debates about anything and everything written on the inside door of the toilet stall. I've always thought that writing on toilet doors only existed in public toilets in poor areas, but it was at that moment that I realised that this practice is found everywhere among all people, all backgrounds and all classes. When you actually think about it you'll realise as well that it's an early form of social media in a way. Is the film also about tradition and modernity? One girl is dressed in what may be viewed as tradition, and the other in westernised dressed, however, it is increasingly embraced as global fashion. What significance did you want this concept to have in the story? The film is not about tradition and modernity in my opinion. Basically, I wanted to bring together two girls who are totally different and have them communicate with each other. I'm not judging either of them and I don't want them to judge each other. I simply wanted them to talk. However, if you see it as a film about tradition and modernity then maybe it is. I believe any film or anything actually is open to infinite interpretations. What were the reactions of your colleagues in the film workshop to the film? Some of them really loved the film while others didn't. What have been some of the comments from the audience, at festivals and in Cairo? One of the most common remarks I remember is that the viewers would have liked to read all of the written comments on the door, but in my opinion that was not the point really. What is important is that the girls communicate with each other. You have also made a short animation film The Lady Bug. Are you also interested in this pursuing this genre? What were your experiences making this film? I'm really interested in all aspects of filmmaking and I think I'm still learning. This is why I love to try anything and everything. I really enjoyed making The Lady Bug. It was like playing with Lego and clay as a child when I got to make a story out of it. Black out is a short reportage that you directed with Mohamad Hadidi, documenting a protest demonstration in June 2011 after the murder of Khaled Saeed who was tortured by the police. What were you experiences when making these images and what were the responses to them? Actually Mohamad El Hadidi and I were and still are surprised about the widespread response to Black Out. It was simply a test video for my new camera. We didn't really plan for these results. We attended the demonstration and it happened that I had the new camera with me so Mohamad asked me could he try it out. I took his camera and he took mine and we met after the demonstration. We were really angry about what happened to Khaled Saeed so we decided to edit the footage that he shot and to post the video online. I began editing the footage without any intention of having screenings of the film anywhere. We uploaded the completed film on the Internet and everybody who watched it loved it. People around the world became interested and asked us if they could screen it, especially after the revolution. Your works in different genres demonstrate your eclectic interests. What direction do you see yourself following? Will you continue to experiment and create according to your interests or the situations that present themselves? As I mentioned earlier I'm still learning about filmmaking and I really love experimenting. I don't really know where I am heading but recently I began to feel that I'm really passionate about cinematography so maybe I need to focus on this. It also depends on the idea or the story. Sometimes the best way to tell a certain story is through animation or documentary or fiction, etc. I see that you are an avid user of the Internet to promote your work. Have you had positive responses and support? I think the Internet is really great. It's great to learn whatever you need to know at the same time promoting your work. I've learned most of the things I know about filmmaking from using the Internet. In addition, I found information about most of the workshops I've attended from there. The Internet has also helped me to see lots of great work from all over the world. Moreover, I have been able to exhibit my own work there, allowing it to be seen by people all over the globe; something that I could have never done otherwise. Works in progress? Future projects? Interview with Mayye Zayed by Beti Ellerson, July 2012. L’Égyptienne Mayye Zayed a participé aux ateliers autour de la réalisation à Alexandrie. Dans ce cadre elle a réalisé un film d’animation The Ladybug (La Coccinelle) et Girls’ Talk (Les filles se parlent), parmi d’autres. Avec Mohamad El Hadidi, elle a produit Blackout, un court-métrage documentaire sur la manifestation pour protester contre le meurtre du jeune égyptien Khaled Mohamed Saïd, mort sous les coups de la police. Une internaute passionnée, pour elle les médias sociales, et l’Internet en général, sont indisponibles pour échanger avec les gens partout dans le monde. I certify that I accept the Festival’s regulations and conditions.